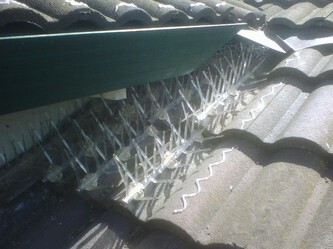 We are a professional provider of Air & Dryer Duct Cleaning, as well as Gutter & Downspout Cleaning services. AJ Services LLC is dedicated to finding an effective and affordable solution to your cleaning needs! We have over 15 years experience and are conveniently located in the Bay Area to serve you better! Please feel free to browse through our listed services and learn more about your cleaning needs and how we can best assist you. A sales representative is available to take your calls if you have questions or feel free to contact us through email! Professional, Honest, Reliable & Punctual Service!!! We Offer Free Quick Estimates conveniently over the phone, or through e-mail/messages when you speak to one of our representatives. *Removing Dust and allergens from your homes heating and A/C system can cut down on air borne contaminants which may cause respiratory problems if left untreated. *Built up Lint in a dryer will decrease efficiency, increase drying time, increase energy consumption as well as damage the dryer and pose as a potential fire hazard. 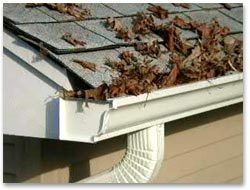 *Properly scheduled gutter maintenance will ensure proper water flow and help to prevent water damage to your property and to avoid costly repairs.